Driven by its own energy demands that are exponentially increasing as a result of its booming economy China has already begun extensively to play the field in Africa by offering a mix of loans on generous terms, debt forgiveness, assistance with infrastructure development, and its assistance does not come with political conditionality. These have helped China to make significant political and economic inroads into the continent. Thus, China’s move has inevitably challenged the westerns’ role as the main trading partner and donor on the continent. Accordingly, the westerns have begun to understand that China’s paces could only be halted by further cementing their relationship with the African countries’ governments. Therefore, this article’s principal argument is that China’s extensive aid, loan and investment in Africa are compelling the West to adjust their lingering old-fashioned and dysfunctional stand on prioritizing ‘democracy and human right’ terms for African economic development. 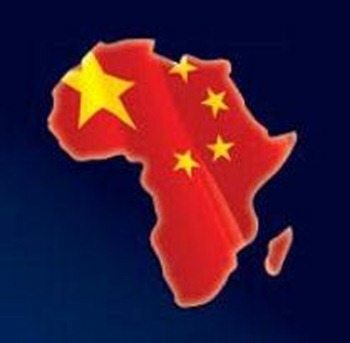 Today, the African continent is becoming a coveted partner for many new actors such as like China where they do not put any political conditionality for African developments, which inevitably challenges the westerns’ role as the main trading partner for Africa’s huge resources and donor on the continent. This also has led to a forced restructuring of the ‘string attached’ western aid and investment policy in Africa. They have realised that in order to compete with China and remain a relevant actor in Africa, they have already begun to adapt a more pragmatic and partnership-based strategy by abandoning prioritizing ‘democracy and human rights’ terms for Africa-westerns relationships. Accordingly, this article discusses in a more detailed manner bounded by sub-topics such as: China-Africa economic relations; European development policy in Africa and its normative dimension; Democracy Vs Economic Development; Double Standard Policy of the West on ‘Democracy and Human Rights’; Africa shouldn’t adopt Western ‘Democracy’; China challenges the West in African political Affairs; The West begins to follow China’s involvement paradigm in Africa; and finally, Empirical Evidences of the West following China’s policy of involvement in Africa. Driven by its own energy demands that are exponentially increasing as a result of its booming economy China has already begun extensively to play the field in Africa. It has established multiple bilateral relations with oil and mineral rich states. Offering a mix of loans on generous terms, debt forgiveness, assistance with infrastructure development, and the fact that its assistance does not come with political conditionality, China has made significant political and economic inroads into the continent (Habib, 2008). In the opinion of some analysts, ‘an unprecedented need for resources is now driving China’s foreign policy’. Of course, there is no a free lunch, but China’s involvement on Africa is based on a win-win paradigm unlike that of the West’s. According to African Development Bank report (2010), this approach was reflected in China’s growing role in energy production in Africa. China imports 1.5 million barrels of oil from Africa per day, approximately accounting for 30 percent of its total imports. In 2009 some 70% of Chinese imports from Africa were crude oil, amounting to nearly $28 billion. China is engaged in oil production or oil-related investments in Sudan, Angola, Nigeria, Algeria and Gabon, and is establishing a presence in other producing states such as Equatorial Guinea, and in states where exploration for oil and gas is taking place, such as Ethiopia. Beyond oil, Chinese investment and direct management has enabled Zambia to reopen one of its largest copper mines. It has invested in a number of mineral activities in Congo and is now a principal buyer of timber from central Africa. Beyond this, China has made significant investments in manufacturing zones in non-resource-rich economies such as Zambia and Tanzania (African Development Bank, 2010). In addition to this, the overall view of China-Africa business relations can be more understood from the Ethiopian Ambassador to China H.E. 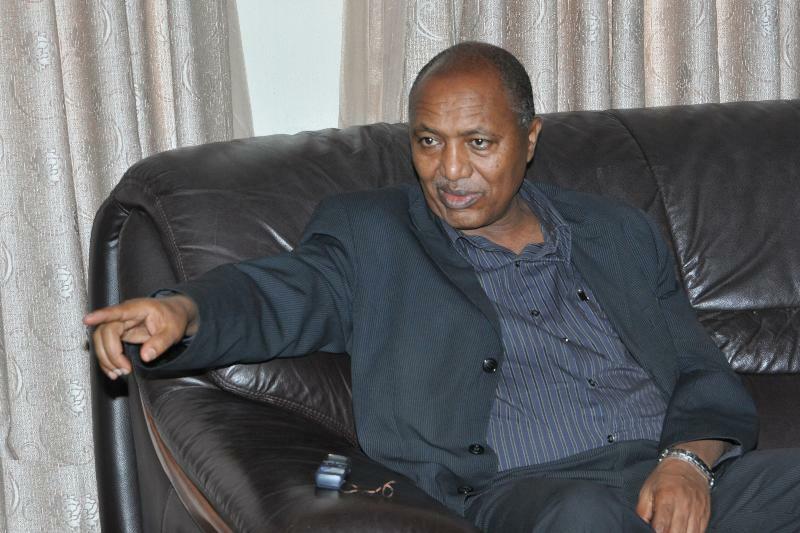 Seyoum Mesfin when he conducted an interview with Zeray Hailemariam in Beijing in 2013. The Ambassador explained that the trade volume between China and Africa has soared from a little over US$10 billion in 2000 to US$166.3 billion in 2011. China’s investment in Africa of various kinds exceeds US$40 billion, among which US$14.7 billion is direct investment. There are over 2,000 Chinese enterprises doing business in nearly 50 African countries, covering a wide range of areas such as mining, financing, manufacturing, construction, tourism and agriculture. Besides, Hailemariam (2013) reported that so far, China has offered more than 20,000 government scholarships to African students, trained over 30,000 African professionals and sent to Africa, and More than 350,000 technicians, young volunteers and agricultural experts. With Chinese language enjoying rising popularity in Africa, Confucius Institutes  and Confucius Classrooms have been set up across Africa. In South Africa alone, there are three Confucius Institutes and one Confucius Classroom. By the end of 2009, China had canceled out more than 300 zero-interest loans owed by 35 heavily indebted needy countries and least developed countries in Africa. China is by far the largest financier on the entire continent, and Beijing’s economic influence in Africa is nowhere more apparent than the $200 million African Union headquarters situated in Addis Ababa, Ethiopia, which was funded solely by China (As cited by, Bowie, 2013). During 2012’s Forum on China-Africa Cooperation meeting the late president Hu Jintao served up $20 billion in loans to African countries, which were designated for the construction of vital infrastructure such as new roads, railways and ports to enable higher volumes of trade and export (Ibid). Beyond Africa’s massive value proposition to China in terms of commodities, there has also been a resurgence of economic growth in Africa. Seven out of 10 of the fastest growing economies in the World for the period 2011 to 2015 are African: Ethiopia, Mozambique, Tanzania, Congo, Ghana, Zambia, and Nigeria. These countries are experiencing Asia type growth rates of around 10 percent, and present huge business opportunities for Chinese investors (Azikiwe, 2012). According to the Ethiopian Ambassador to China, Africa had learnt from China’s development experience and the way by which it had pulled 400 million people out of poverty in such a short period which it took the west hundreds years to do so (Hailemariam, 2013). During the latest fifth BRICS meeting of the 2013 in Durban-South Africa where the new Chinese president Xi Jinping was also a participant, South Africa president Jokob Zuma stated: (As cited by, Bowie, 2013). Xi’s visit highlights the importance China attaches to Sino-African ties, and during his stay, he attended the fifth meeting of the BRICS, the first summit held on the African continent to accommodate leaders of the world’s most prominent emerging economies, namely Brazil, Russia, India, China, and South Africa (BRICS). The BRICS group, which accounts for around 43% of the world’s population and 17% of global trade, has set to increase investments in Africa’s industrial sector threefold, from $150-billion in 2010 to $530- billion in 2015, under the theme “BRICS and Africa: partnership for development, integration, and industrialization” (Ibid). Analysts have likened the BRICS group to represent yet another significant step away from a unipolar global economic order. The value and significance of the BRICS platform comes in its ability to proliferate South-South political and economic ties (As cited by, Bowie, 2013). Hence, recent China’s economic impact on American influence with African regimes is much more significant than ever before. When China has provided billions of dollars as aids and loans to the African countries, the African governments signaled that they would no longer be interested in a long-negotiated International Monetary Fund (IMF) and World Bank (WB) programmes that would be conditional on elements that are not necessarily related to economic developments (le Pere and Shelton, 2007). Therefore, one can observe that African countries are turning their faces towards the East particularly China as they could obtain any needed amount of aid, loan as well as investments from it where they found that China’s involvement in the African countries is just a mere business by respecting their sovereignty of political ideologies. Today, more than ever, Europe faces a fundamental question: can it still consider Africa as its own “backyard”? Europe has a longstanding ‘commitment’ to Africa’s development, partly because of the former colonial ties between some member states and African countries. This “privileged” relationship with Africa has had to adapt to changing international and European circumstances. Today, the African continent is becoming a coveted partner for many “new” actors such as India or China, which inevitably challenges the European Union’s (EU) role as the main trading partner and donor on the continent. This also triggers questions regarding the future of the EU’s position in the world and more particularly its development policy. Particularly, the wide presence of China in Africa has led to calls for restructuring the current EU aid policy (Carbone, 2007). Coined by the concept of Normative Power Europe (NPE), the EU is characterised by the ability to promote beyond its borders its own core normative principles, ranging from human rights, democracy and good governance to sustainable development and regional cooperation (Manners, 2002). According to this broad definition of foreign policy, European development aid can be understood as a key component of the EU’s normative aspiration towards developing countries (Manners, 2008). The EU’s eagerness to promote specific norms in its relations with developing countries is most prominently expressed in the 2005 European Consensus on Development, the first common European framework in the area of development policy. The 2000 Cotonou Agreement is the current contractual basis of cooperation. À wide ranges of development policy instruments have been developed in order to uphold democratic and human rights principles in its relations with Africa (Keukeleire and MacNaughtan, 2008). When referring to the normative orientation of European development policy, this entails the linking of aid to the fulfilment of various political conditions, relating to human rights, democracy and good governance. To this regard, “negative” conditionality involves the suspension of aid if the recipient country violates the conditions. In the Cotonou Agreement, human rights, democracy and the rule of law are marked as “essential elements”, which implies that their violation can lead to the suspension of development aid (As cited by: Keukeleire and MacNaughtan, 2008 and Holland, 2004). This “negative” conditionality  also refers to the EU’s sanction policy. The EU can impose sanctions in two ways: it can implement sanctions decided by the UN Security Council or impose autonomous sanctions. These sanctions generally entail measures such as arms embargos, the freezing of funds or travel bans for officials. The EU also has “positive” incentives  at its disposal to encourage the promotion of certain norms. Despite these European principles, Experts have raised serious doubts about the NPE concept as an explanatory basis for European foreign policy in general and for development policy in particular (Hyde-Price 2006, Youngs 2004, Sjursen 2006). The ‘commitments’ of the EU in Africa to promote the stated values and principles have been strongly criticised (Olsen, 1998 and Santiso, 2003). The EU sanctions policy is a good illustration of this contradiction. Despite strong rhetorics, EU sanctions have generally been imposed in a rather mild and unequal way. In practice, the EU has only sanctioned very few of the countries which violated the agreed norms, and it remains unclear as to how the EU selected these countries (Brummer, 2009 and Wood, 2009). Furthermore, numerous exemptions to sanctions were applied, bringing in inconsistency in terms of policy enforcement. To illustrate this, Robert Mugabe was invited by the then French President, Jacques Chirac, to attend the 2003 France-Africa Summit despite sanctions imposed by the EU on the government of Zimbabwe, including a travel ban for President Mugabe. Later, the EU agreed to temporarily lift the travel ban to allow the Zimbabwean president to participate in the EU-Africa summit in December 2007 and, in so doing, accommodated pressures of the African Union, which threatened to boycott the summit (Brummer, 2009). For this reason, some experts point out that European development aid, in an attempt of policy coherence, has sought to fulfil short-term security objectives at the expense of normative principles like human rights and democracy. There are several cases demonstrating the reluctance in the implementation of the EU principles and ideals, due to special relations and interests of a Member State in a specific African country (Olsen, 1998). More importantly, African leaders themselves have been questioning the EU’s normative stand with regard to the policy of conditionality, claiming that it cannot be a substitute for domestic ownership. The President of Rwanda, Paul Kagamé, stressed, “actions will only bear fruit when Africa substitutes external conditionality – that is, doing what the donors tell us to do – with internal policy clarity – that is, knowing ourselves what we need to do and articulating this vision clearly to our development partners” (Michel, 2007). The normative characteristic of the EU’s policy has hence come under pressure both from internal and external factors. In line with this, the Chinese presence in Africa has become an additional but nowadays a main element urging European policy makers to revise their development policy towards Africa. Africans must embrace democracy on their own without depending on pressure from external powers. In doing so, they must fully engage in and learn from the democracy vs economic development debate. The doctrine that says “seek first the Kingdom of Democracy” and the rest will follow, is not only flawed but is also not backed by history (Mutambara, 2013). The Ethiopian late PM Meles Zenawi during his participation in the 2012 World Economic Forum in Addis Ababa, said that there was no a necessarily direct relationship between Democracy and Economic growth. Naturally, Democracy is an indispensable thing for African countries’ unity of their diverse people, but cannot always be a pre-requisite for their economic growth”. For example: Singapore, China, Saudi Arabia, Taiwan, Malaysia, and Dubai do not exactly fit into the Western definition of democratic states, but they are quite economically prosperous. Malawi, Zambia, and South Africa fairly satisfy the Western democratic prescriptions, but the majority of their citizens are crippled by poverty, inequality and unemployment. There are no simple cut and paste solutions. A nation can be prosperous without following the Western democracy model, while embracing such a model does not guarantee economic success (Mutambara, 2013). The contrived and tenuous links between democracy and economic development should be rejected. Democracy must be embraced as a public good in itself, not as a precondition for something else. A democratic tradition, respect for human rights, and a good governance disposition allow the African people to express themselves and determine their destiny as fully empowered citizens. African states must internally, without depending on the benevolence or conditionalities of external players, strive to creatively and simultaneously achieve both economic prosperity and democracy by a more serious focus on the former one. Therefore, since there are a number of countries that do not fit into the Western definition of democratic states but showing a successful economic development, hence, there is no reason for China to back away from support for undemocratic regimes if these regimes are developmental partners in meeting China’s and Africa’s basic economic requirements. Thus, China’s distinction from the westerns is it is not making demands or strings for its aid or investments, but pursuing a purely neo-mercantilist foreign policy. The late Prime Minister of Ethiopia lauded Chinese role in Africa. Not only he defended the merit of Chinese investments but also dubbed it as ‘coming to the rescue of Africa’ a continent let down by the failed western ideology the ‘Washington Consensus’ which followed the Neo-Liberal paradigm  (China daily, 2012). As cited by Berhane (2012), the late Prime Minister also said that the so-called Washington Consensus that aimed to liberalize the economies of developing countries had demonstrably failed and the Chinese were now picking up the pieces. “The official doctrine among the international financial institutions which in the past determined policy in Africa was that infrastructure would be taken care of by the private sector. Well, we have waited 30 years and nothing much has happened,” the late Prime Minister added. He further recommended that when the Chinese companies came in and started building infrastructure in a big way they were filling this major gap in the development of Africa. We, in Africa, should feel very satisfied with it. When Western nations and their institutions go out to trade and invest in some countries, they do not insist on democracy, good governance or human rights pre-conditions. Illustrative cases include investments and business ties with Kuwait, Saudi Arabia, Dubai, and Saddam’s Iraq (once upon a time) (Mutambara, 2013). For instance, Saudi Arabia is an obvious example, a country where women are deprived of many rights and there is almost no religious freedom. Still, it remains one of America’s closest allies in the Middle East for a simple reason that is oil (Gettleman, 2012). Besides, in Africa, the United States cooperates with several governments that are essentially one-party states, dominated by a single man, despite a ‘commitment’ to promoting democracy. John Prendergast, co-founder of the Enough Project, an anti-genocide effort, said that Prime Minister Meles’s death “accentuates a vexing policy quandary” that the United States faces with Rwanda, Uganda and South Sudan. “All of them have served American interests or have a strong U.S. constituency, but all have deeply troubling human rights records,” (As cited by, Gettleman, 2012). Similarly, Mutambara (2013) explained that Western countries trade with and invest in China, and yet China is certainly not a Western-type democracy. If the West does not put democracy or human rights pre-conditions to China before they deal with it, why should China put such conditionalities to African regimes before engagement? In any case, how can an “undemocratic” one-party state like China insist on human rights pre-requisites to African nations? Will they be credible demanding multi-party free and fair elections which they themselves do not conduct? In line with this, Mutambara (2013) further argued that African leaders do not misunderstand on the importance and efficacy of democracy, respect of human rights and good governance in their countries. These concepts are vital to build sustainable and viable African economies and societies. However, these attributes are not the only means to bring sustainable economic developments. They do not necessary drive or determine a country’s economic transformation to a better level. As the matter of fact, as history and recent practices tells, the westerns imposition of so-called mandatory pre-conditions on Africa have not been emanated from the west’s real or main aim of improving the respecting of human rights and democratic activities, but rather they have been used as overt strategies so as to successfully accomplish their covert agendas which are sucking the virgin continent’s untapped resources, thereby they could satisfy the needs of their own people in the west. In other words, Gettleman (2012) concluded that the West’s economic interest, corporate and business ambitions, and geo-political-military considerations are the determinant ones for the direction of Western trade and investment. Moreover, the west’s double standard policy on ‘democracy and human rights’ can further be exposed by the case of the International Criminal Court (ICC). The ICC based in the Hague, is a particular focus of African anger. Its focus on Africa, nearly all of its investigations concern Africans, has earned it accusations of bias. A democratically successful win for Uhuru Kenyatta as a president of Kenya in the 2012/13 national election, has put the ICC in political limbo of whether to continue or give up their accusation of the president for ‘crimes against humanity’ committed during the 2007/08 national election in Kenya (Perry, 2013). As a result, as reported by Big News Network (UPI) (28th May, 2013), during the recent African Union (AU) Summit in Addis Ababa which was also celebrating its golden jubilee of a 50 year birth day, Ethiopian prime minister and the current year’s (2012/13) chairman of the AU Hailemariam Desalegn has criticized ICC saying “The International Criminal Court is hunting African leaders because of their race”. Hailemariam, speaking at a summit of the 54-member organization, charged that of those indicted by the ICC, 99 percent are Africans. Therefore, it is apparent, and one can understand that, if the western-affiliated ICC doesn’t refrain from the accusation against Uhuru Kenyatta, unquestionably, they will lose their grips on Kenya which is geo-economically important country for the west. “The Ministry of Foreign Affairs of the Federal Democratic Republic of Ethiopia has thoroughly examined the Report on Ethiopia. It regrets that once again over 80% of the publication reproduces, almost verbatim, claims contained in previous reports. Not for the first time, the Report narrates groundless and unverifiable allegations and repeats the same politically motivated accusations obtained from dubious sources. The report refers to these as “reliable” and “credible” but ironically, it also identifies many of them as “violent movements” and “opposition sources”. The report added that on January 23, 2012, the United Nations High Commissioner for Human Rights Navi Pillay spoke out against the failure by the U.S. to close the Guantanamo Bay detention facility and to ensure accountability for serious violations including torture that took place there. The American government’s counter-terrorism policies were clearly violating at least 10 of the declaration’s 30 articles, including the prohibition against cruel, inhuman or degrading treatment or punishment. On the other hand, the late U.S. Secretary of State Hillary Clinton had traveled to several African states in early August 2011 in an effort to shore up relations between Washington and the continent. Her derogatory remarks on China, plainly branding china (without explicitly calling ‘china’) as ‘a new-colonizer’, were clearly designed to place a negative spin on the significantly cementing Africa-China relations. But, the U.S. is overdue and is in no position to lecture to China about colonialism, human rights record or other issues. The economic crisis in the U.S. and its abysmal ongoing legacy of racism and national oppression provides no example for Africa to follow (Bowie, 2013). However, the Ethiopian Ambassador to Chain Seyoum rejected the accusation by the West labeling china as ‘new colonizer’ because of its engagement in Africa. He cited examples saying China’s greater involvement in Latin America (200billion dollar worth Chinese investment), USA, Europe and Australia than in Africa but china is not accused in this regard. He argued that the accusations are illogical. He added “Europe approaches China to solve the debt crisis and USA owes trillions US dollars. They saw China as a solution but standing to oppose China’s relations in Africa” which he said is demonizing Africa (As reported by: Hailemariam, 2013). Washington recently announced that US Army teams will be deployed to as many as 35 African countries in early 2013 for training programs and other operations as part of an increased Pentagon role in Africa – primarily to countries with groups allegedly linked to al-Qaeda. Given president Obama’s proclivity toward the proliferation of UAV drone technology, one could imagine these moves as laying the groundwork for future US military interventions using such technology in Africa on a wider scale than that already seen in Somalia and Mali. Here lays the deep hypocrisy in accusations of Beijing’s purported “new colonialism” – China is focused on building industries, increasing development, and improving administrative and well as physical infrastructure – the propagation of force, which one would historically associate with a colonizer, is entirely absent from the Chinese approach (Bowie, 2013). Moreover, as reported by Hailemariam (2013), the West’s concern about China’s presence in Africa was further exposed by Seyoum saying “the west are only fearing about their core interests as Africa’s’ abandon natural resources are critical to their economic development”. Seyoum further explained that the west were trying to cover their robbing natural resources crimes they committed in Africa for hundreds of years while China was rectifying it in a very short period of time through treating Africa as strategic partner unlike the west that treated Africa as their own private hunting garden (object). “What China is doing is not at the expense of our traditional partner. They cannot be more than Africans.” the ambassador stressed. Likewise, President Museveni of Uganda said, “The western ruling groups are conceited, full of themselves, ignorant of our conditions, and they make other people’s business their business, while the Chinese just deal with you who represent your country, and for them they represent their own interests and you just do business.” (As reported by: Sam Akaki, 2013). Similarly, ambassador Seyoum also lauded, “Africans are not comfortable with the way the west perceives China and Africa friendship” adding that they should recognize China in doing the same; he recommended they have to correct this way of perceive. They are insulting African intellectuals by saying ‘China bashing Africa’, however, said he, “Africa knows what it is doing with China. China is renovating Africa from agrarian based to agro processing, light manufacturing and industry based sectors which can assist Africa to process its raw resources in the long run thereby helping Africa to have sustainable developments” (As reported by: Hailemariam, 2013). If there is to be greater democracy, transparency, better economic policy, and openness for investment, it must come from Africans’ desire for them. That desire is what the West can most effectively support in practicing democracy and in confronting violations of human rights. The underlying trend will nevertheless be in African hands, to take full advantage of a more competitive environment for the betterment of its people (Mutambara, 2013). In his presidential victory speech, president Uhuru Kenyatta said, “Today, we celebrate the triumph of democracy, the triumph of peace, the triumph of nationhood. Despite the misgivings of many in the world (the west), we demonstrated a level of political maturity that surpassed expectations. That is the real victory today.” In a pointed warning to the international community, he added: “We expect the international community to respect the sovereignty and democratic will of the people of Kenya. The African star is shining brightly and the destiny of Africa is now in our hands.” (Perry, 2013). Similarly, Morsi (the recently ousted Egyptian president) urged the U.S. to respect the Arab world’s history and culture, even when it did not match Western values. Morsi explained that the U.S. couldn’t expect Egyptians to live by its rules. He warned the west saying “If you want to judge the performance of the Egyptian people by the standards of German, or Chinese, or American culture, then there is no room for judgment”. The president added, “When the Egyptians decide something, probably it is not appropriate for the U.S. When the Americans decide something, this, of course, is not appropriate for Egypt” (As reported by: Gayathri, 2012). Likewise, the Ethiopian Ambassador to China Seyoum Mesfin emphasized the centrality of ensuring participation of the people in political, economic and social transformation in democratizing institutions. He noted that the idea of universality might be intrinsic to democracy but each country had its own peculiarities in application. He added that democracy was a property of this or that country. Ambassador Seyoum Mesfin further indicated that China supports Ethiopia’s legitimate sovereignty so does Ethiopia respects China’s policy. Ethio-China relation is based on mutual respect and benefit. Thereby, He finally recommended that the Western nations should follow and utilize similar approach with that of the China’s (As reported by: Hailemariam, 2013). Since China’s aid and investment strategies do not come with political conditionality, these have made China smoothly and momentously to inroad into the continent’s political affairs. China has formal political relations with 50 of the 54 African countries (Habib, 2008). The United States Council on Foreign Relations presented one of the more comprehensive assessments in its report in January 2006 about its policy towards Africa, entitled: More Than Humanitarianism: A Strategic US Approach Toward Africa. The report raised two challenges for the US: China’s protection of African regimes ‘guilty’ of human rights violations and its general disregard of issues of governance, transparency and human rights; and the forms of competition used by China that could disadvantage American companies as aid doubles to Africa in the coming five years and more infrastructure and other projects are opened for bids. The report warns that the US needs to recognize new challenges to Western influence in Africa that call for new types of diplomatic initiatives and programmatic responses (As cited by, Oyewole, 2009). Moreover, Oyewole (2009) indicated that the African states that have been targeted by the U.S. and other European imperialist states have been supported by China. The Republic of Zimbabwe and the Republic of Sudan are two examples. Both states have been brought before the United Nations Security Council for sanctions and these measures have been vetoed by China. China has recently been involved in efforts to normalize relations between South and North Sudan. Renewed focus on the crisis in the Darfur region of Sudan, with a debate over sanctions in the UN Security Council, where China has resisted such action against an important African trade partner, has further focused Western’s official attention on China’s policies in Africa. Le Pere (2006) has trumpeted China’s approach to provide aid and loans without demanding political conditionality, suggesting that there is not only an implicit equality between giver and receiver in the relationship, but that it also has better developmental consequences for the continent. This argument is attractive especially since much of the conditionality demanded in structural adjustment programmes by western powers and international financial agencies (IMF, WB, and the like) over the last two decades have primarily advantaged multi-national corporations of the westerners. Hence, Beijing wants to distinguish itself from European development policy by praising its approach for being more pragmatic, efficient and speedy (Bräutigam, 2008). Indeed, Chinese aid focuses in particular on technical assistance projects aimed at building infrastructures, a sector which has been rather neglected in European aid programmes in Africa in recent years (Grimm et al., 2009). Chinese leaders attach particular importance to a pragmatic policy and, contrary to the EU, refrain from advancing any discourse on normative principles. Nevertheless, Chinese policy is de facto promoting a unique development model in Africa inspired by its own experience. The “Beijing consensus” has become the commonly used notion introduced by Joshua Cooper Ramo (2004) to express the existence of an alternative Chinese development model based on economic growth without political conditions attached. This approach has not failed to attract the attention of many African leaders. Since Chinese aid policy in Africa is characterised by a “no strings attached” principle. Chinese leaders do not believe in conditionality and sanctions as a foreign policy tool. On the other hand, Chinese foreign policy is guided by the principles of Peaceful Coexistence presented by Zhou Enlai in 1954, among which a particular importance is attributed to the respect of sovereignty and non-interference in internal affairs. By contrast, the EU through the European Security Strategy used to favour the concept of “effective multilateralism”. China and the EU have therefore different interpretations of the notion of state sovereignty. These differences have become evident at several occasions in the UN, where China, supported by African states, challenged the European position (Gowan and Brantner, 2008). Actually key feature of the Chinese presence in Africa is that it is not following a predefined strategy but, on the contrary, that it is constantly adapting its policy with the African countries (Ibid). The U.S.A. needs Africa more today than ever. For example, as America’s domestic demand for oil continues to increase, oil needs are becoming more and more of a critical issue on the U.S. policy agenda, both as an economic security challenge and as a national security priority. Continued political instability and rising hostility in some parts of the Middle East has forced a rethink of the traditional sources of oil for the U.S.A. Its eye is now on Africa (Oyewole, 2009). However, African Heads of State are now beginning to turn East rather than West for support in meeting their developmental needs. This is because they can largely obtain unconditional aid from China instead of having straight jacketing aid conditionalities dictated to them by Western donor nations. Hence, a policy response by the USA currently seems to follow a similar approach like that of the Chinese’s that is based on a ‘meddle not’, ‘judge not’ and ‘place no conditions’ policy of respect for the sovereignty of African states (Ibid). This concern has led the USA to three innovations in its engagement with Africa. First, the US has identified four anchor states Egypt, Ethiopia, Nigeria and South Africa to partner with in stabilizing and containing the continent. Second, it has established a new military command, Africom, to take direct responsibility for US interest in Africa. Finally, it has established a whole new set of bilateral deals with oil rich and none-oil regimes, many of whom have questionable democratic and developmental credentials (Habib, 2008). For instance, a more recent phenomenon which indicates western amendments of their old policy towards Africa is, Zimbabwe. Zimbabwe is perhaps the most outstanding example of John Kerry’s (U.S foreign secretary) policy of non-aggression in Africa. Almost as soon as he took office, he started to re-establish normal bilateral relations with Zimbabwe, a move which has encouraged the European Union to start dismantling diplomatic and trade sanctions against the country (As reported by: Sam Akaki, 2013). Similarly, the increasing international importance of China has also a test value for the European Union’s (EU) international influence, in particular in Africa (Marchal, 2008). The EU realises that in order to compete with China and remain a relevant actor in Africa, it needs to adapt its development approach and turn it into a more pragmatic and partnership-based strategy. In particular, the Chinese “no strings attached” policy increasingly challenges the European development policy, presenting an alternative source of financing and political support to African countries that do not comply with heavy principles. European policy makers seem to start adopting a more pragmatic approach as a response to this dilemma. Philippe Maystadt, president of the European Investment Bank, stated that the EU should think about the degree of conditionality it wanted to apply, in order to avoid excessive conditionality. He had expressed fears that unless the conditions were set at a realistic level, African states might turn to other sources of financing without such strings attached to them (Parker and Beattie, 2006). It is however important to stress that especially after the growing Chinese presence in Africa, EU policy of “negative” conditionality was increasingly abandoned due to its often half-hearted implementation by Member States. Instead, the EU puts now more effort in “positive” conditionality by rewarding the good performers. À first attempt of strengthening incentive mechanisms is the European Initiative for Democracy and Human Rights (EIDHR), which is a rather flexible instrument to grant aid to groups or individuals within civil society, intergovernmental organisations defending democracy and human rights, without agreement from theoretical government (Ibid). However, the EU faces the question of the universality of its norms and values. The NPE concept has been accused of being Eurocentric, hiding a new form of cultural imperialism of a “civilising” power which is projecting its own understanding of norms onto the rest of the world (Bicchi, 2006). African leaders regularly complain that EU normative policy is characterised by an unequal relationship between the European “donor” and the African “recipient”, leaving no other choice to the latter than to adhere to European norms. As a result, African leaders increasingly see Beijing as a promising alternative to the European presence (Hackenesch, 2009). Therefore, it is possible to deduce that the Chinese win-win cooperation is welcomed by many African leaders and it compels the EU to adapt its discourse this new reality. Hence recent European policy statements on cooperation with countries of Africa have increasingly referred to the concept of “strategic partnership” regardless of “concerns” on “democracy and human rights”. The most prominent example of the European willingness to move on this issue is the recent initiative of establishing a “trilateral EU, Africa and China cooperation” (Tull, 2008). While at the beginning European politicians and media were harshly criticising China’s African policy, dismissing its “unethical” approach, they have now adopted a less negative tone and undertaken cooperative efforts (Berger and Wissenbach, 2007). Hence, one can understand that the EU has begun to move away from a normative discourse towards a more pragmatic approach by leaving its old-fashioned string attached assistants and investments towards African countries. When we look at the case of Kenya, Uhuru Kenyatta’s electoral victory as a president of the country presents a conundrum for the West. Since the ICC is a very manipulated institution by the West, London had warned that it would keep official contact with a President Kenyatta to a minimum. But the reality is that, in a world where Kenya finds itself as much sought after as suitor, Western powers no longer get to call the shots in the country (Perry, 2013). Alex Perry, (2013) reasoned out that in many ways, and particularly in its homegrown innovations in mobile technology such as mobile banking and solar power, Kenya personifies the new, emerging Africa of young and dynamic entrepreneurs. Its position as East Africa’s business hub has only been enhanced by its recent discovery of large reserves of oil and gas. Kenya is also a linchpin of the U.S. and European security structure in Africa, ranged as it is against Islamist groups and pirates, particularly in neighboring Somalia. Westerners rely on Kenya in other ways too: the Kenyan capital, Nairobi, is the base of choice for much of the international community in East Africa, from large embassies to aid-group headquarters to donor conferences to security contractors. And should the West give Kenya the cold shoulder, it may find it is not missed as it once might have been: Chinese, Indian, Middle Eastern and Latin American diplomats and businessmen are also part of the fabric in today’s Kenya. For more empirical evidences of the West adapting China’s policy of involvement in Africa, similarly we can look at the case of Ethiopia. 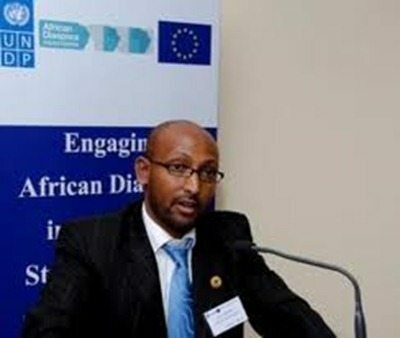 Even though, some Ethiopian opposition parties abroad had blamed the Ethiopian government as “guilty of atrocities against indigenous peoples as the government fail to protect the rights of a minorities, as it completes construction of the Gibe III dam” and ask the UK aid-agency Department for International Development (DFID) not to support the project, the UK aid-agency DFID rejected their request. As the country’s second largest donor, the British Government is still willing to lend its hand for more aids towards Ethiopia (Bennett, 2013). Ethiopia received $504m (£324m) from the UK government in 2011/12, making it the biggest recipient of bilateral aid from the country that year (Akwagyiram, 2013). Moreover, Ethiopia, which has been accused of ‘forcing tens of thousands of people off their land so it can be leased to foreign investors’, still receives more UK assistance (Akwagyiram, 2013). Similarly, in 2013 UK provided 12 million Euros to Ethiopia as aid to train a special Para-militias so as to fight the ONLY rebellion fighter in the Ogaden region (South east of the country) despite the fact that some opposition parties abroad had criticized the fund objecting the ‘Prevalence of Human rights violation in the country’ (Bennett, 2013). Hence, it is certainly out of question that UK is no more following the old-dysfunctional acts of mandatorily prioritizing ‘the respect of Human rights’ for injecting aids or funds towards Ethiopia. * “Domestic and international NGOs estimated there were up to 400 political prisoners and detainees.” in the country. 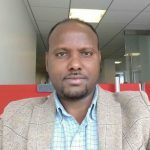 Despite the above listed (among others) Human Right case allegations directed towards the Ethiopian government, USA has increased its various sorts of aids and more cementing its close ties with the Ethiopian government by further labeling the country as among the best strategic allies of USA. The Ethiopian government even went as far as jamming the signal of Voice of America because it considered its broadcasts as a threat to Ethiopia. Human rights groups have been urging the United States to cut aid to Ethiopia for years. However, no aid cut was done. The country receives more than $800 million annually (Gettleman, 2012). 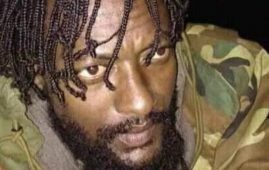 The basic reason behind this is that Ethiopia is an important country to the United States in the Global War on Terrorism. 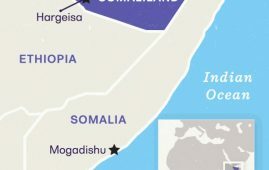 The Pentagon needs Ethiopia and its intelligence service to counter the influence of al-Qaida fighters in the neighboring Somalia (The Economist, March 25, 2010). The CIA is using Ethiopia as a base for black sites to secretly interrogate undeclared prisoners in the Global War on Terrorism. Hence, based on this, one can infer that USA and the westerns as a whole have already begun abandoning their old-fashioned pre-requisites of ‘democracy and human rights’ as mandatory elements for the new USA-Africa and Westerns (in general)-Africa relations. Offering a mix of loans on generous terms, debt cancellation, assistance with infrastructure development, and the fact that its assistance does not come with political conditionality, China has made significant political and economic inroads into the continent. Hence, China has inevitably challenged the westerns’ interest for Africa’s huge resources. As a result, the westerns have realised that in order to compete with China and remain a relevant actor in Africa, they have begun to adapt a more pragmatic and partnership-based strategy by abandoning prioritizing ‘democracy and human rights’ terms for Africa-westerns relationships. A democratic tradition, respect for human rights, and good governance disposition allow the African people to express themselves and determine their destiny as fully empowered citizens. However, Democracy and respecting of human rights must be embraced as a public good in itself, not as a precondition for African development. Besides, Africans must embrace democracy on their own without depending on pressure from external powers. However, empirical evidences show that these attributes are not the only means to bring sustainable economic developments. They do not necessarily drive or determine a country’s economic transformation to a better level. As a result, African Heads of State are now turning East rather than West for support in meeting their development needs. This is because they can largely obtain unconditional aid from China instead of having straight jacketing aid conditionalities dictated to them by Western donor nations. Hence, a policy response by the west currently seems to follow a similar approach like that of the Chinese’s that is based on a ‘meddle not’, ‘judge not’ and ‘place no conditions’ policy of respect for the sovereignty of African states. Therefore, China’s extensive fund, loan and investment in Africa are compelling the west to adjust their lingering old-fashioned and dysfunctional stand on prioritizing ‘democracy and human right’ terms for African development. Normative policy: is the policy of EU characterised by the ability to promote beyond its borders its own core normative principles, ranging from human rights, democracy and good governance to sustainable development and regional cooperation. Negative conditionality: In the Cotonou Agreement, involves the suspension of aid if the recipient country violates the conditions of human rights, democracy and the rule of law are marked as “essential elements”, which implies that their violation can lead to the suspension of development aid (As cited by: Keukeleire and MacNaughtan 2008: 291, Holland 2004: 286). This “negative” conditionality also refers to the EU’s sanction policy. The EU can impose sanctions in two ways: it can implement sanctions decided by the UN Security Council or impose autonomous sanctions. These sanctions generally entail measures such as arms embargos, the freezing of funds or travel bans for officials (Ibid). Positive conditionality: In the Cotonou Agreement, it also involves “positive” conditionality by rewarding the good performers on the conditions of human rights, democracy and the rule of law. À first attempt of strengthening incentive mechanisms is the European Initiative for Democracy and Human Rights (EIDHR), which is a rather flexible instrument to grant aid to groups or individuals within civil society, intergovernmental organisations defending democracy and human rights (As cited by: Keukeleire and MacNaughtan 2008: 291, Holland 2004: 286). Neo-mercantilist foreign policy: is a policy regime that encourages exports, discourages imports, controls capital movement, and centralizes currency decisions in the hands of a central government. The objective of neo-mercantilist policies is to increase the level of foreign reserves held by the government, allowing more effective monetary policy and fiscal policy. Neo-Liberal paradigm: is a political philosophy whose advocates support economic liberalization, free trade and open markets, privatization, deregulation, and decreasing the size of the public sector while increasing the role of the private sector in modern society. Effective multilateralism: First mentioned in the EU’s European Security Strategy (ESS), this concept places main emphasis on a rule-based international order, supported by strictly cooperating international organizations with the UN at its core (Available at: http://www.effectivemultilateralism.info/content.asp?CatId=259&ContentType=Topics ). 1/ Akwagyiram, Alexis (2013). How can Africa move away from aid dependence?. Available at: http://www.bbc.co.uk/news/world-africa-22270164. BBC News. Accessed May 21/2013. 2/ Azikiwe, Abayomi (2012). CHINA, AFRICA AND THE UNITED STATES: WHO ARE THE REAL COLONIALISTS? Pan-African News Wire, an international electronic press service designed to foster intelligent discussion on the affairs of African people throughout the continent and the world. 3/ BARTON, Benjamin (2009): “EU-China-Africa Trichotomy: The EU, China and the Normative Power Concept on the African Continent”, EU-China Observer, Issue 3, pp.12-17. 5/ BERGER, Bernt and WISSENBACH, Uwe (2007): “EU-China-Africa trilateral development cooperation”, Discussion Paper, 21/2007, German Development Institute, Bonn. 9/ BRÄUTIGAM, Deborah (2008): China’s African Aid: Transatlantic Challenges, The German Marshall Fund of the United States, Washington DC. 10/ BRUMMER, Klaus (2009): “Imposing Sanctions: The Not So ‘Normative Power Europe’ ”, European Foreign Affairs Review, vol. 14, no. 2, pp.191-207. 12/ CARBONE, Maurizio (2007): The EU and International Development – The politics of foreign aid, Routledge, New York. 15/ European Commission (2008): The EU, Africa and China: Towards trilateral dialogue and cooperation, COM (2008) 654 final, Brussels. 16/ European Commission (2005): EU Strategy for Africa: Towards a Euro-African pact to accelerate Africa’s development, COM (2005) 489 final, Brussels. 19/ GOWAN, Richard and BRANTNER, Franziska (2008): “A global force for human rights? An Audit of European Power at the EU”, Policy Paper, European Council on Foreign Relations, London. 19/ GRIMM, Sven, HUMPHREY, John, LUNDSGAARDE, Erik and DE SOUSA, Sarah-Lea John (2009): Challenges by New Actors in International Development, European Development Cooperation (EDC) to 2020, Working Paper, No. 4, May 2009. 21/ HACKENESCH, Christine (2009): “China and the EU’s Engagement in Africa: Setting the Stage for Cooperation, Competition or Conflict”, Discussion Paper, 16/2009, German Development Institute, Bonn. 23/ HOLLAND, Martin (2004): “Development Policy: Paradigm Shifts and the ‘Normalization’ of a Privileged Partnership?”, in: Cowles, Maria G. and Dinan, Desmond (eds. ): Development in the European Union?, Palgrave Macmillan, Basingstoke, pp.275-295. 24/ HYDE-PRICE (2006): “ ‘Normative’ power Europe: a realist critique ”, Journal of European Public Policy, vol. 13, no. 2, pp.217-234. 25/ KEUKELEIRE, Stephen and MACNAUGHTAN, Jennifer (2008): The foreign policy of the EU, Palgrave, Basingstoke. 26/ Le Pere, G and Shelton. G. (2007). China, Africa and South Africa: South-South Cooperation in a Global Era, Midrand: Institute for Global Dialogue (IGD). 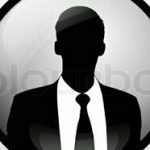 27/ Le Pere, G. (ed.) (2006). China in Africa: Mercantilist predator, or partner in development? Midrand: Institute for Global Dialogue (IGD) and Johannesburg: The South African Institute of International Affairs (SAIIA). 28/ MANNERS, Ian (2002): “ Normative Power Europe: A Contradiction in Terms? ”, Journal of Common Market Studies, vol. 40, no. 2, pp.235-298. 29/ MANNERS, Ian (2008): “ The normative power of the European Union in a globalised world”, in: Laïdi, Zaki (ed. ): EU Foreign Policy in a Globalized World, Routledge, London. 30/ MARCHAL, Roland (2008) : « La Chine en Afrique : des retrouvailles aux faux-semblants », in : Jaffrelot Christophe (ed.) : L’enjeu mondial : les pays émergents, Presse de Sciences-Po – l’Express, Paris, pp. 235-347. 31/ MICHEL, Louis (2007), Europe-Afrique: the indispensable partnership, speech at the European Policy Centre, 30 November 2007, Brussels. 33/ OLSEN, Grom R. (1998): “Europe and the promotion of democracy in post cold war Africa: How serious is Europe and for what reason? ”, African Affairs, vol. 97, no. 388, pp.343-367. 34/ Oyewole, Dapo (2009). A New U.S. Policy Approach Toward Africa. Centre for African Policy & Peace Strategy (CAPPS). 35/ PARKER, George and BEATTIE, Alan (2006): “EIB accuses Chinese banks of undercutting African loans ”, Financial Times, 29 November 2006. 38/ SANTISO, Carlos (2003): “ Sisyphus in the Castle: Improving European Union Strategies for Democracy Promotion and Governance Conditionality ”, The European Journal of Development Research, vol. 15, no. 1, pp.1-28. 39/ SJURSEN, Helene (2006): “ The EU as a ‘normative’ power: how can this be? ”, Journal of European Public Policy, vol. 13, no. 2, pp.235-251. 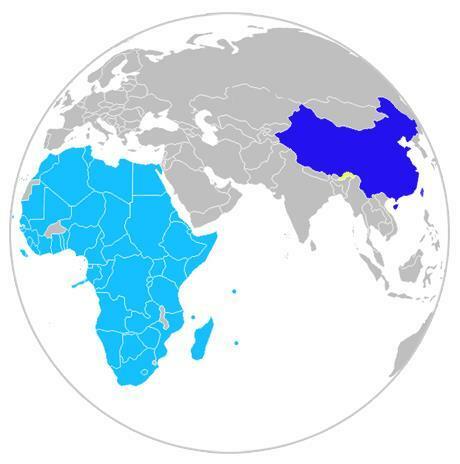 41/ TULL, Denis M. (2008): “ China in Africa: European perceptions & responses to the Chinese Challenge ”, Working Papers in African Studies, John Hopkins University, School of Advanced International Studies (SAIS),Washington DC. 42/ WOOD, Steven (2009): “The European Union: A Normative or Normal Power? ”, European Foreign Affairs Review, vol. 14, no. 1, pp.113-128. 44/ YOUNGS, Richard (2004): “ Normative Dynamics and Strategic Interests in the EU’s External Identity ”, Journal of Common Market Studies, vol. 42, no. 2, pp.415-435. 45/ Wikipedia, the free encyclopedia, (2013). Ethiopia–United States relations: Global War on Terrorism & Human Rights Violations. Available at: http://en.wikipedia.org/wiki/Ethiopia United_States_relations. Accessed: May 18/2013. The title of this article should be “The impact of China toward African Dictators”. The analysis made on this article is true. African dictators gets an option other than US and Europeans donors to get loan and assistances to run their government. China never object this dictators if the money is used to suppress, kill their people and used to benefit their own pocket. We the people of Africa, the people who suffer every day will not benefit from China. One thing is clear, our future will be shaped based on what ,we as African people, do to change our government with full commitment and participation and not expecting from outside. Any country in the world has its own interest and will act accordingly. But as African people we should have friends countries that we negotiate and made a deal on trade and security that will benefit both nations. On that sense there is no place to look other than US and Europeans who have accountability to there own people demand that we expect our government should have to their own people. That will create solid and everlasting relationship on mutual interest.